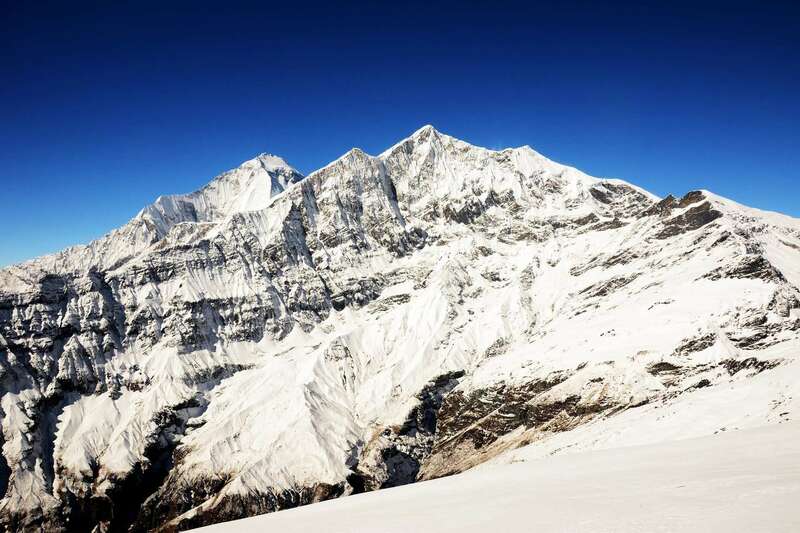 Dhampus Peak is a non-technical climbing peak which situated just north-east of the Dhaulagiri massif. The Dhampus peak also known as Thapa peak. It is a perfect viewpoint for absorbing the mother of nature at its best. It provides awe-inspiring vistas of the snow-capped mountains. 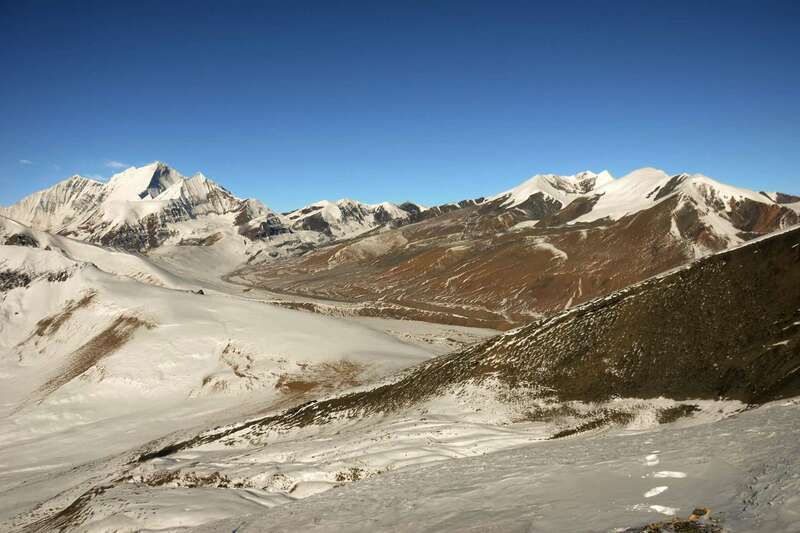 Dhaulagiri circuit with Dhampus peak is 6012 meters high. Although the mountain is technically easy, it does not require any technical peak climbing skills. We also explore the traditional villages of Kali Gandaki valley which has established itself as a significant destination. It offers due to the ease and the exquisite scenery for someone with an interest to view the topographic and ethnic variety of Nepal. 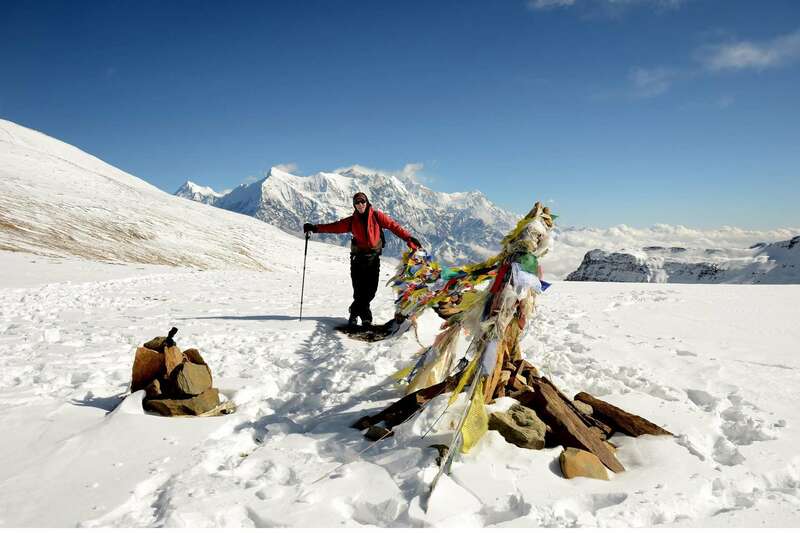 Thіѕ trail goes all the way to the famous Dhaulagiri circuit trek. It goes through the quaint villages, forests rich in exotic flora and fauna — even more, exciting places and connects us at Hidden Valley after the French pass. The trail leads to basecamp at 5600 meters a few hours away from Hidden Valley. It requires only one day to reach a summit. Embark the exquisite mountain scenery, soothes the mind and awakens the senses while you are on top. The return trek can move towards Jomsom from Marpha before ending at Pokhara. 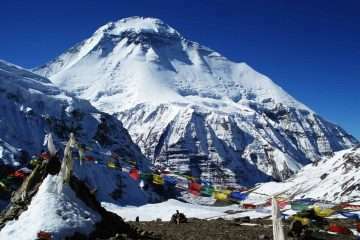 Dhaulagiri circuit with Dhampus Peak Climbing is particularly recommendable on an excellent beginning climbing possibility for aspiring mountaineers. Traverse two major high passes; French Pass at 5360 meters & Dhampus Pass at 5200 meters. Arrival day in Kathmandu – Fly Pokhara (45 Min. ), drive Beni then trek Tatopani – Dharapani – Muri – Baghara- Dobang – Chatare/ Bhainsi Kharka – Japanese Camp – Dhaulagiri Base – French Pass (5360 m) – Hidden Valley – Dhampus Pass (5250 m) – Dhampus High Camp – Yak Kharka – Jomsom – Pokhara – Kathmandu. The trail leads you Dharapani along the bank of Myagdi Khola. There might be a disturbance the path in several places during the monsoon season due to landslides that leads several ups and downs. The trail goes passing by several settlements along the trail to Dharapani. Initially, the trail goes down up to Jyardan, this is the last village of the valley and another village we will meet until we arrive at Marpha. The trail goes gradually climbs up passing through the forest as we find some shepherd huts in some place. It called Kharka where cattle graze the grass. Finally, we arrive at Bobang. It is also Kharka. Once again, we enter to the forest area after crossing Konban Khola climb to the top where we can see the west wall of Dhaulagiri I and descend to Myadgi Khola, cross it takes away to the east bank along the river to get a summer grazing camp, Bhaisikharka. Today early start up the trek due to longer day walks in the mountain through the glacier. Finally, we reach the Dhaulagiri Base Camp. From the Base Camp, I can See the majestic view of Dhaulagiri I, II, III and IV and an amazing view of Icefall inform of Campsite which falling from the pass between Dhaulagiri and Tukuche Peak. This is considered as a spare day in case of any problems that affect our schedule. If it is not required, the day can be used for the exploration valley. 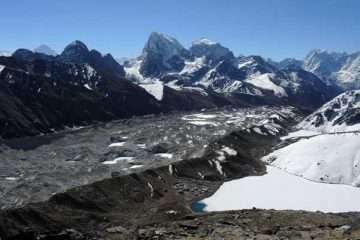 Day 15: Hidden Valley – Dhampus Pass (5250 m) – Dhampus High Camp (5420 m) 7h00 walk. Today, we climb another adventure Dhampus pass with an altitude of 5250 m. lesser than French Pass which overlooks the deep gorge of Kali Gandaki Valley and Annapurna range. A steep and rocky climb to Dhampus High Camp. Day 16 - 17: Climbing period of Dhampus Peak. 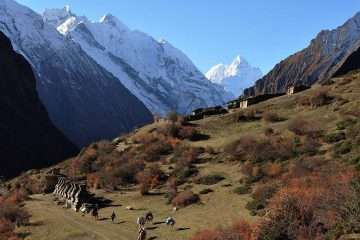 An adventure journey begins Around Dhaulagiri trek and two passes through the hidden valley that offers outstanding mountain experience. We don’t provide a fixed plan or day to day itinerary for the climbing period, but that is determined by climbing guide and other team member base on climate and physical condition of the climbers. It is a flexible plan that may help the climbers for proper preparation and better acclimatization. 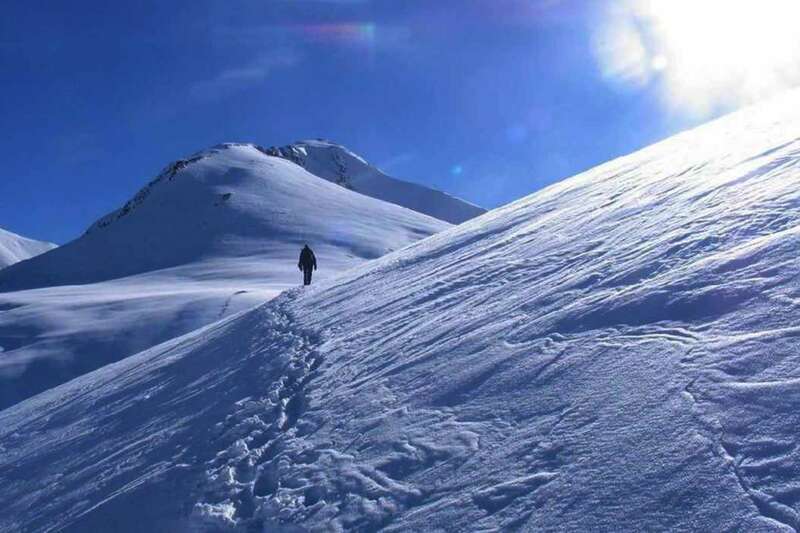 Normally, we set up the base camp operation and provide general train regarding the climbing gears and make successful ascends to a summit and back to base camp. Day 20: Pokhara – Kathmandu. A long scenic drive takes 6-7 hours to Kathmandu from Pokhara. Crossing over the cultivated lands, local villages, en route along the Trisuli River arrive in Kathmandu at the afternoon. Night at the hotel. Aӏӏ tours and itineraries are the basis of the airlines/hotel/tour policies, schedules and operational conditions at the time of quoting. Availability of prices on the website is limited and at the time of purchase prices саn be higher. Aӏӏ prices are subject to change without prior notice due to currency fluctuation, fuel prices and/or unforeseen economic circumstances. Aӏӏ prices published on our websites are set as low as possible. But we guarantee our prices which have already signed up for your tour. Please consult us for customized prices.